Our residential painters have 25 years of experience as a top painting company in Dublin and surrounding suburbs like Powell, Plain City, Hilliard, Worthington, and Lewis Center. We have honed our house painting skills for many years and are proud to serve our community with stellar interior and exterior painting services. Our team of passionate professional house painters will ensure that you are completely satisfied through the entire painting process. We offer painting services for homes that are tailored to fit into your busy lifestyle perfectly. If you’re ready to get started, request a free home painting quote online and our team of dedicated professionals will get started on your project right away. Our professional house painters are committed to completing projects in a timely manner. Whether you need commercial, residential or home painting services, we’ll stick with a customized painting schedule that fits your needs and stays within budget. Experience – Our professional house painters have been painting homes & businesses professionally for over 25 years. Local – Our corporate offices are just up the road in Plain City Ohio — a few minutes from Dublin, and just one minute from Dublin Methodist Hospital, the new Costco and Sports Ohio. We have serviced many Dublin Ohio homes throughout the years. Small, Hands-On Painting Company – We are easily reached by phone with any questions you may have. Free Color Consultation – Our color consultants will visit your home for a free in-home color consultation. Let our local Dublin painting experts help you! Free, Fast Quotes – Our computer generated quotes are printed in 10 minutes and hand-delivered to you. 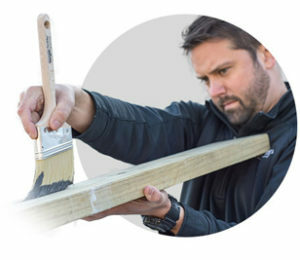 Community Involvement – We commit to volunteering our painting services to non-profits and support various charities around Dublin and all of Central Ohio. Proud multi-year Member of the Dublin Chamber of Commerce – Ensuring we continue to provide quality products, painting services and programs for our customers. Over the last 25 years, our goal has remained the same: to make you fall in love with the color of your home all over again. And that is the Sharper Impressions Painting Company difference. According to the Dublin Convention and Visitors Bureau, “in Dublin Ohio, everyone’s just a little Irish.” We’ve found this statement to be more than accurate and agree that Dublin has a friendly nature and the locals want to share everything they love about the city — including its Irish charm! The vast array of family-friendly activities available in the community make Dublin a fun, welcoming place that we are proud to serve. Since 1992, Sharper Impressions Painting Company has offered painting services to homeowners and businesses in Dublin and its surrounding communities. We offer state-of-the-art home interior painting, exterior painting, and commercial painting services with no deposit required. Visit the rooftop bar VASO located in the new Dublin Bridge Park District for great views of the entire town! Head to local events like the Dublin Irish Festival – Our Vice President has served on the Dublin Irish Festival committee for over 10 years! Looking for professional residential painters to give your home a fresh look? Call Sharper Impressions Painting Company today to schedule a free estimate, or request a free quote by filling out the form below!